a. Both alkenes and cyclo-alkanes both can be represented by the same general formula. c. Acetone is the common name of propanone. d. Isomers always show same chemical properties. Q2: Which is the common name for ethyne? 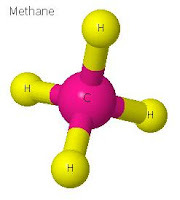 Q3: The complete combustion of a hydrocarbon always gives .....? Q5: Why are unsaturated hydrocarbons more reactive than saturated hydrocarbons? Q7: What is the difference in molecular masses of any two successive homologues? Q8: Name the type of hydrocarbon taking part in an addition reaction. Q9: Why acetic acid is known as glacial acetic acid? Q10: Why C2H7 can't exist? 5. Presense of double and triple covalent bonds make these compunds more reactive. 10. There are too many hydrogen atoms for two carbon atoms.